Snacktime for phonics learners! 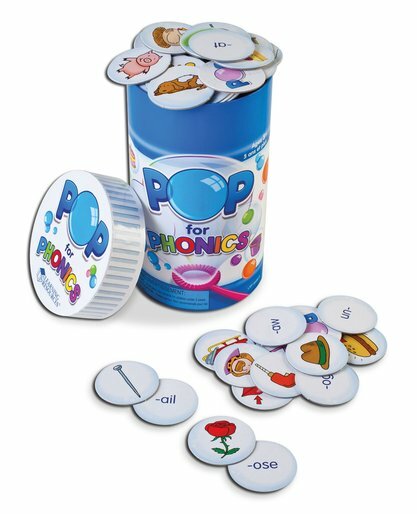 Pop to enjoy a tasty phonic word game. Smarter and healthier than eating potato chips. Everyone loves a yummy snack. But a great game can be just as tempting – especially when it comes in a novelty snack tube. Pop the lid to play a rhyming and matching game which helps you learn phonic word sounds. Race your mates to the most tokens! Will you be able to stop? The box includes 100 word and picture tokens, and you’ll need 2-4 people to play.